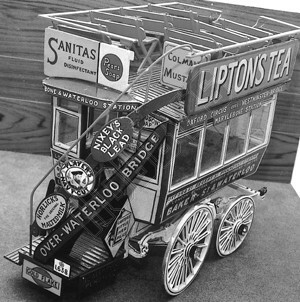 Until about 1910 the London street scene was dominated by the "Garden Seat" type of open top horse buses,the majority of which were owned by the London General Omnibus Company. This plan has been prepared from detailed measurement of the example in the London Transport Museum at Covent Garden. 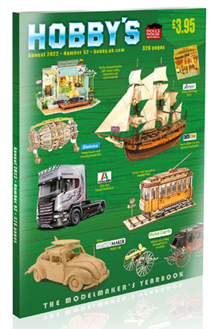 The vehicle is particularly suitable as a subject for a model,since the interior is easily visible,and the roof seats,platform and steps add a lot of interest to the exterior,yet the body has no complicated curves so is simple to construct.